Milk paint is still a huge favorite with furniture paint lovers! Not surprising, pieces using milk paint look so original and unique. If you are reluctant to buy milk paint, and your are feeling creative, try this milk paint recipe, as a test to see if you like the consistency of this all natural paint. Using this milk paint recipe, its easy to make up batches as you need them and not worry about it drying out. Test colors as you go with different pigments. I came across this simple milk paint recipe from the master Martha Stewart and as milk paint is always popular, I thought I would pass it on. 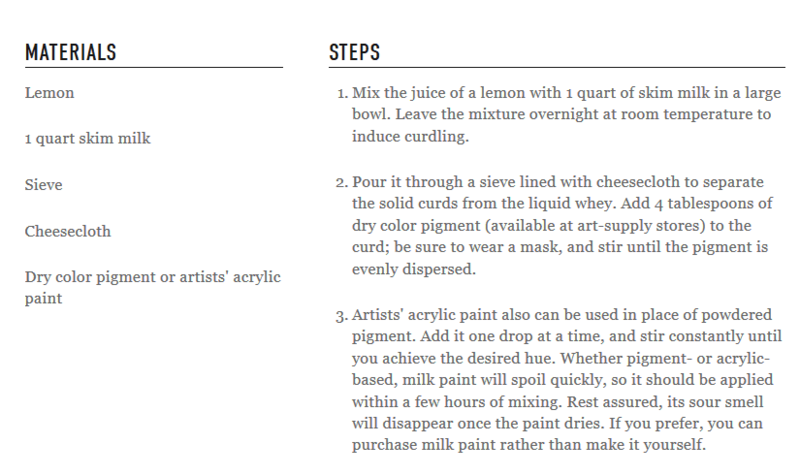 The ingredients are easy to find and include lemon juice, skim milk, dry color pigment or acrylic paint. Yes, its that simple! Its wonderfully safe but there is a catch. With all these great ingredients; it goes off! Which means you have to use it quickly.. because it dries quickly too. If you want to know how to make milk paint, when to apply it (it goes off!) and how to get rid of the smell.. read more by clicking here. Enjoy the process! Remember it dries quickly so work fast. If you want that chippy look, you can find a video tutorial here. 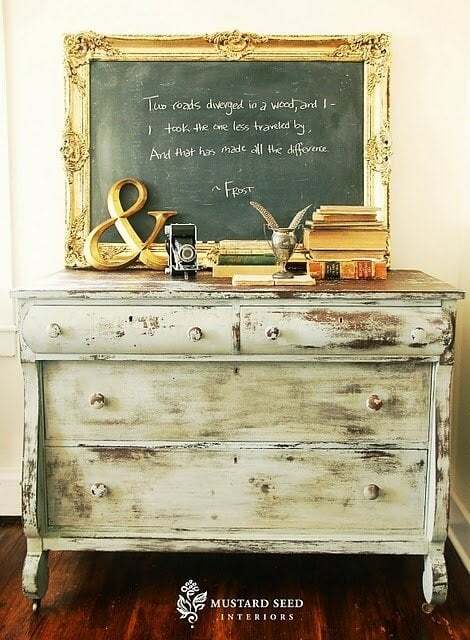 If you prefer chalk paint, then follow this link.